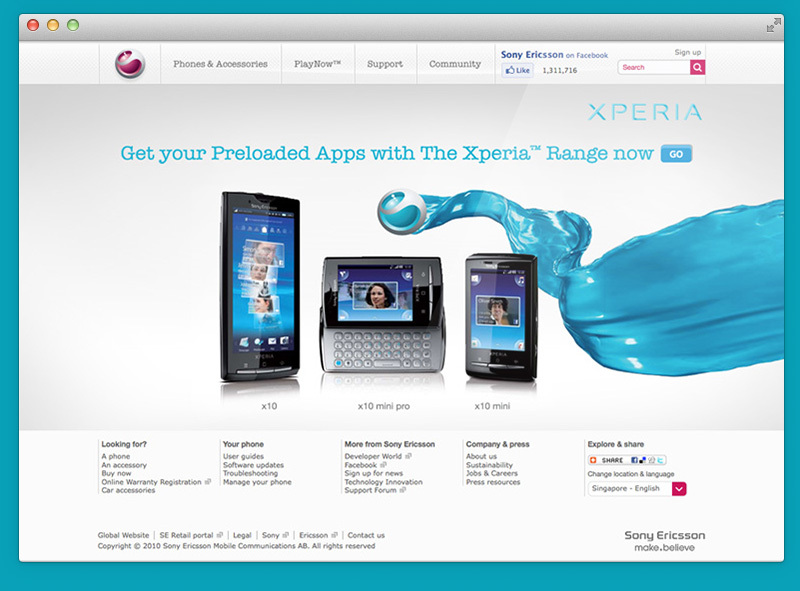 The Xperia Range was the long-time flagship of Sony Ericsson mobile. 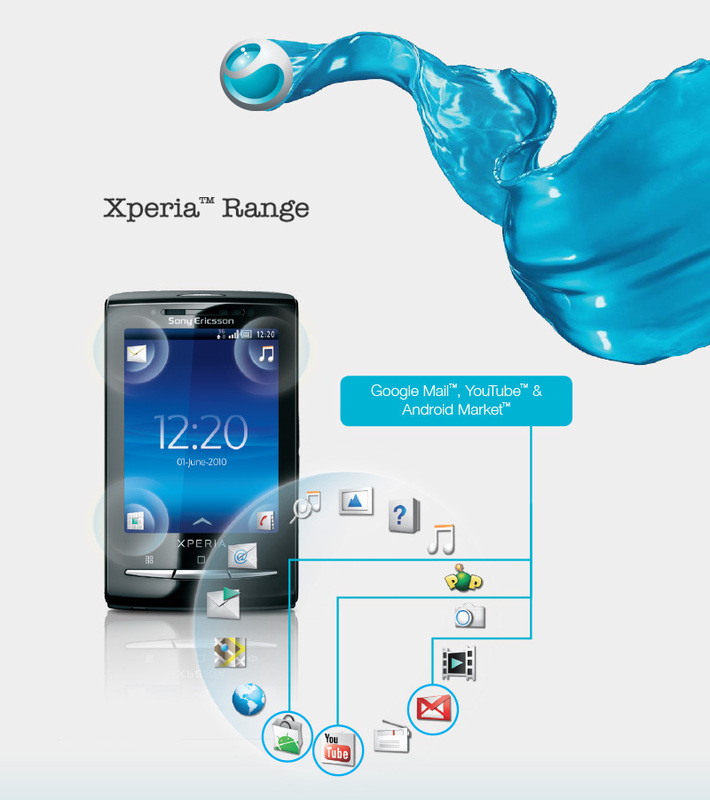 The Xperia X10 was their first smartphone, and with the X10 Mini and X10 Mini Pro both released later in 2010, the handset easily found its place in a variety of different roles and lifestyles. 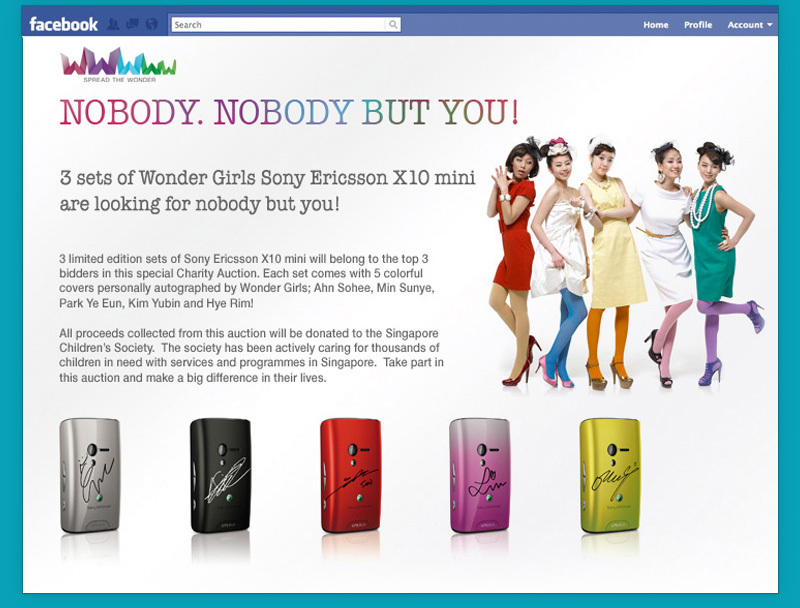 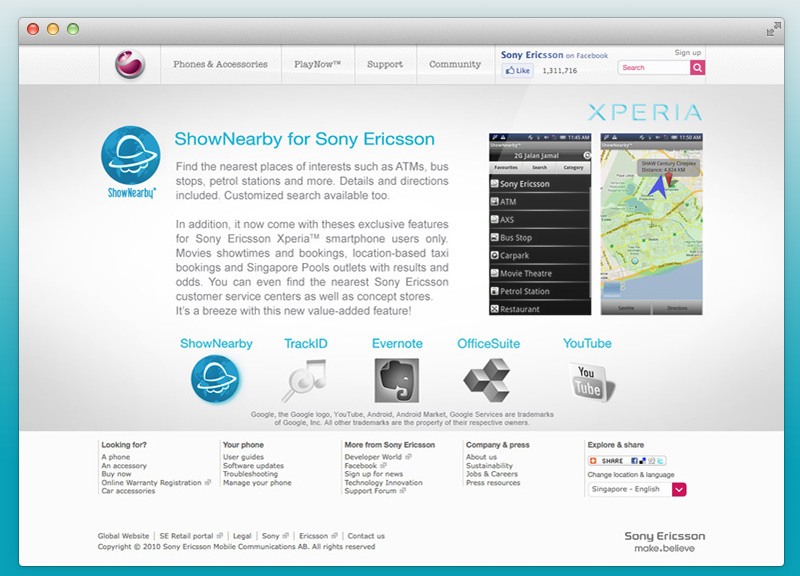 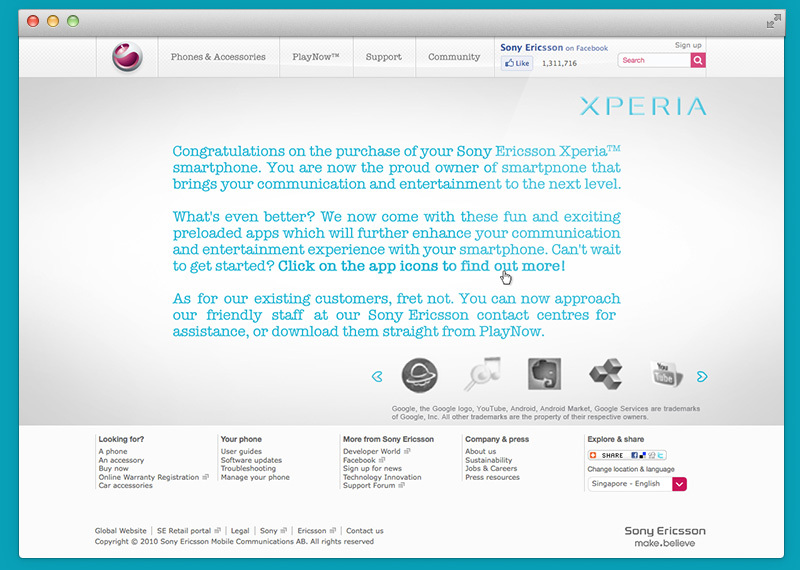 FreeWave Media worked on the Sony Ericsson requirements with solution to integrate their existing website platform with a much enriched site for customers to appreciate and enjoy.